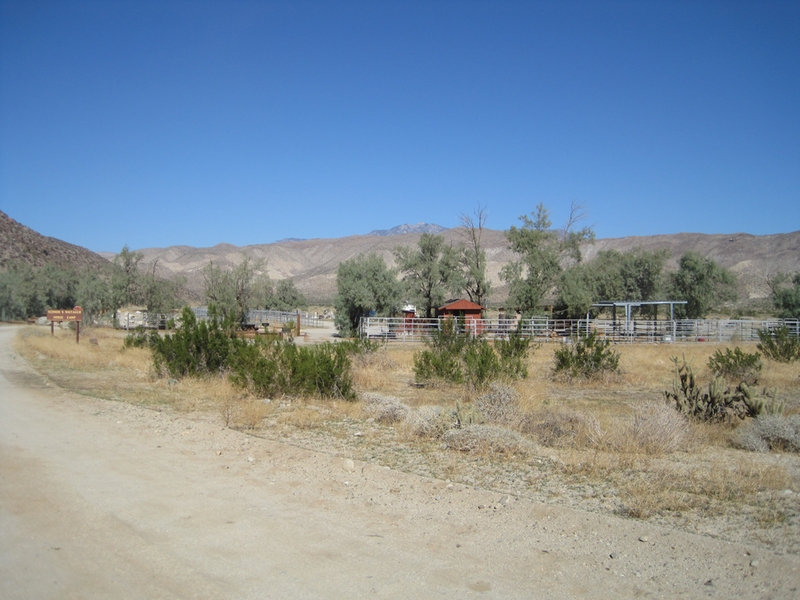 Length of Trail: Vern Whitaker Horse Camp is located North of Borrego in the Anza Borrego Desert State Park with access to miles of trails. Equestrian Camp Ground: There is a row of 9 camp sites big enough for big rigs. There are camp restrooms and showers. 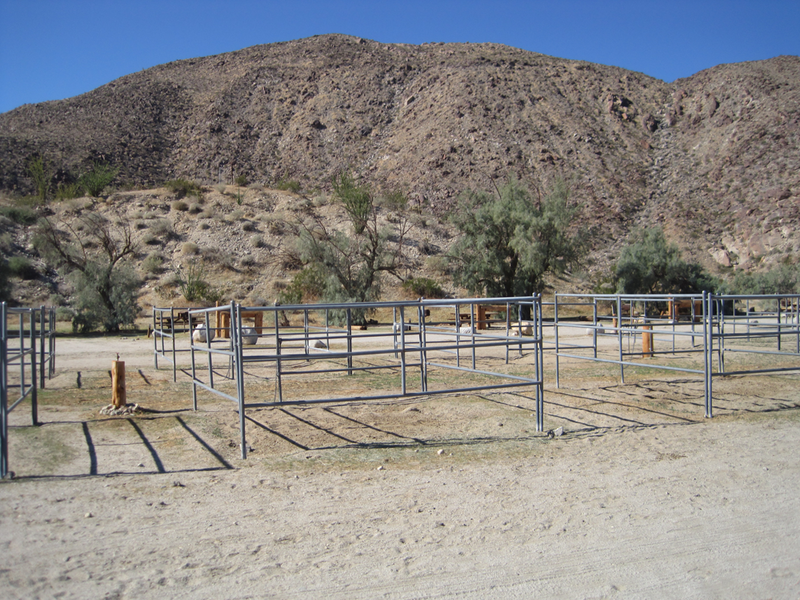 The campsite includes a grill, fire ring, picnic table, and is big enough for two people and two horses. There is also a group site with wind ramada and group fire ring with grills and tables. There is a lunging area as well and wash rack for your horse. The water is potable. Trail Conditions: There is a trail map posted at the campsite. 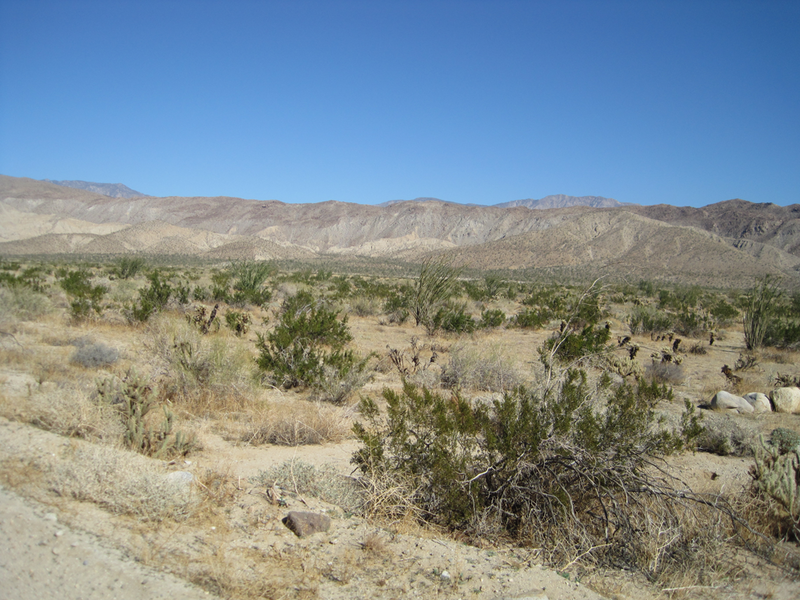 There are a number of trails accessible from the campsite with good, sandy footing of various lengths. 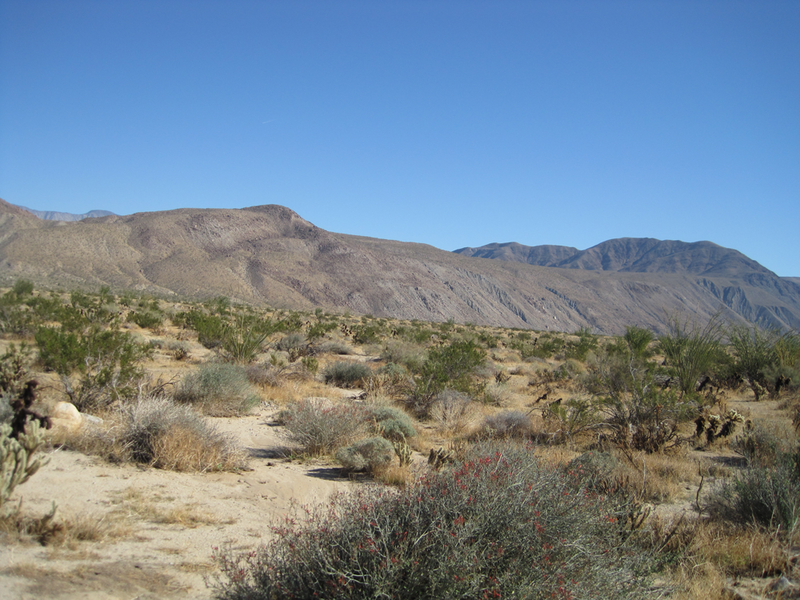 Trail Users: The trail is open to hikers, cyclists, as well as horseback riders. Dogs are also welcome on a leash in the campground and the road leading into the camp. Please clean up after them. Dogs are not allowed on any trail.